Denver, Colo. (Feb. 12, 2019) – R. Mack Babcock, founding partner and lead attorney of The Babcock Law Firm, has been elected as Secretary of the Workers’ Injury Law and Advocacy Group (WILG) at the organization’s annual convention in Las Vegas on October 29-31, 2018. Member attorney Stephanie Tucker also became a new WILG board member, adding to the growing position of leadership The Babcock Law Firm is taking as a nationally recognized workers’ compensation law firm. The way leadership works in WILG is that an attorney gets selected as Secretary, and then over the next four years, they ascend to Treasurer, President-elect and President. Mack’s recent appointment as Secretary means he will be the President of the organization in four years. Visit https://www.injurylawcolorado.com/ to learn how representation works or to discuss your case details. To learn more about Mack Babcock, visit his attorney profile on his website as well as his Enjuris feature interview. R. Mack Babcock founded his own law firm in 2007 to serve the communities of Denver, Littleton, Aurora and the state of Colorado by helping stand for justice and protect injured individuals from modern day bullies like corporate America and insurance carriers. 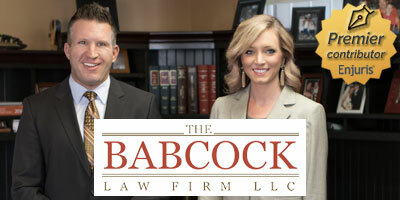 Along with his team of expert trial attorneys, Mack and The Babcock Law Firm help injured individuals in all kinds of legal matters, from work-related injuries and insurance disputes to car accidents and other personal injury cases.